Product prices and availability are accurate as of 2019-04-20 00:01:24 UTC and are subject to change. Any price and availability information displayed on http://www.amazon.com/ at the time of purchase will apply to the purchase of this product. 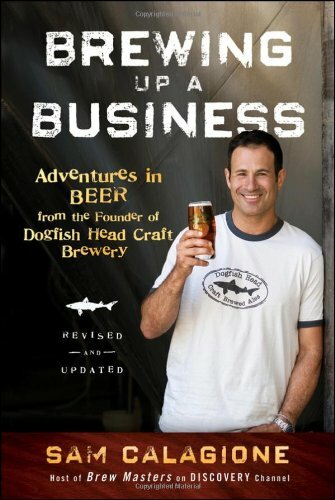 When did you start Dogfish Head Brewery, and what was your inspiration? We opened Dogfish Head in 1995. At that time, we were the smallest commercial brewery in the country. We wanted to make beers that weren’t referencing commercially dominant styles and beers that incorporate exotic ingredients from around the globe. Or as we call it: Off-centered ales for off-centered people. 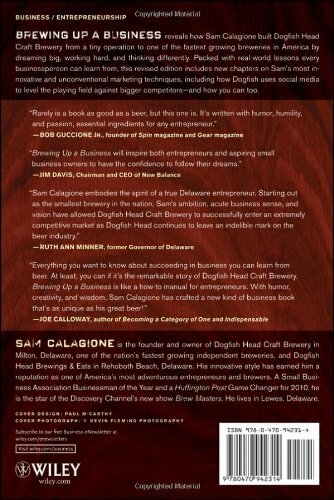 What effect has being the host of Brew Masters on Discovery Channel had on the brewery and/or the Dogfish Head brand? We’ve been very fortunate that demand for our off-centered ales has been beyond our ability to make them for the last eight years. So the show hasn’t helped us sell more beer but it has helped spread the word about Dogfish and about the craft brewing renaissance happening around the globe right now. We’ve had a blast doing the Brew Masters show, and I am most proud of the moments in it that celebrate how talented and passionate all of my co-workers are as they do their jobs. Also, the show does a great job of demystifying the brewing process and makes it approachable for people just getting into all of the amazing and diverse beers that are being made by small indie breweries now. 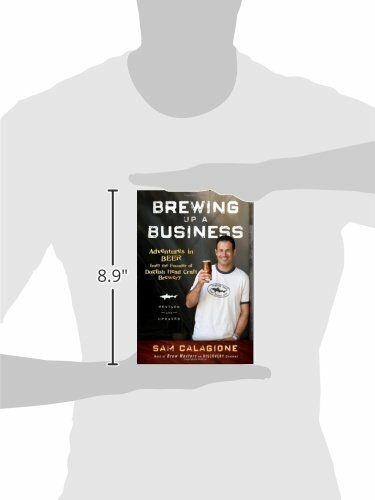 What can readers expect to get out of this new updated and revised edition of Brewing Up a Business? There’s still great stuff on what we learned at Dogfish as we started our business, but there is now more content devoted to ideas we’ve incorporated to grow our business. With chapters on utilizing social media (my wife Mariah is the queen of this at Dogfish) and differentiating your product or service in a crowded marketplace. What’s in store for the future of Dogfish Head? Lots of new and exotic beers, for sure. There will also be a Brew Masters episode centered around a brewpub we are working on that will be on a rooftop in New York City called Eataly. The restaurant will be run by Mario Batali and Joe Bastianich and Dogfish. Birra Del Borgo (Rome) and La Baladin (Turin) are the contributing breweries to the project. We’ve expanded our brewery and our website. We plan to build a bigger distillery and open another pub in 2012. Mostly, we just want to keep putting the where in Delaware and the mental in experimental.